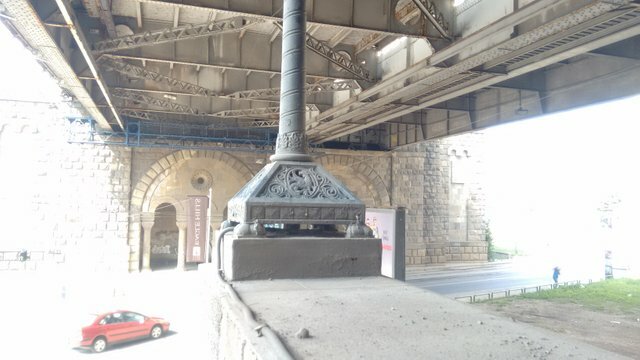 These are hudge street lamps that are under Branko's bridge, the bridge that traverses river Sava, and connects remote city (municipality)of Zemun and New Belgrade to the Belgrade on the other bank. 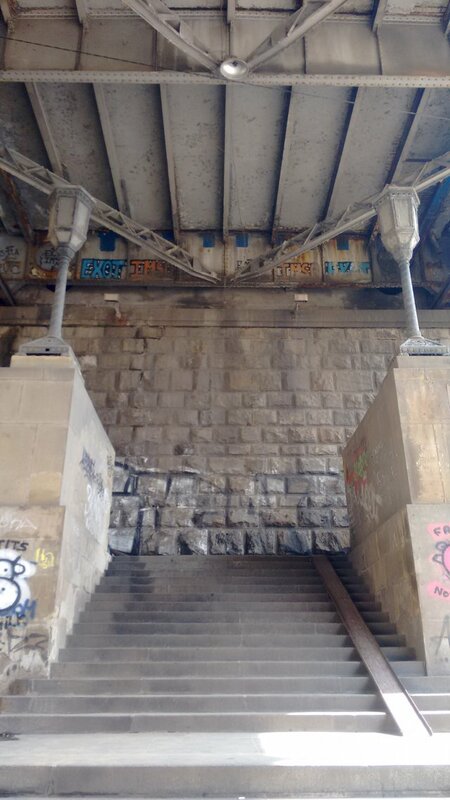 What is specific about this bridge is that it actually lies on old parts of bridge that doesn't exist anymore. This looks very interesting, like some steampunk vision that my friend would draw in his comics. It is also very very dirty, so this adds to the impression. 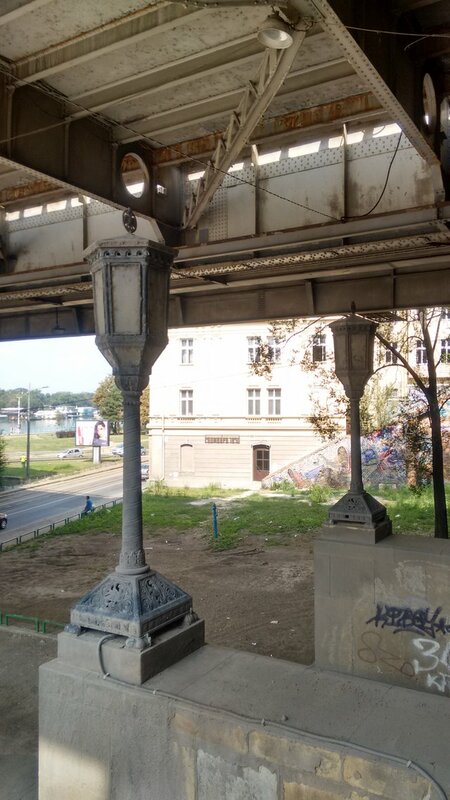 On lower part of the steal body of this lamp, you can see the griffon and on the top we can see two headed eagle, national symbol of Serbia.